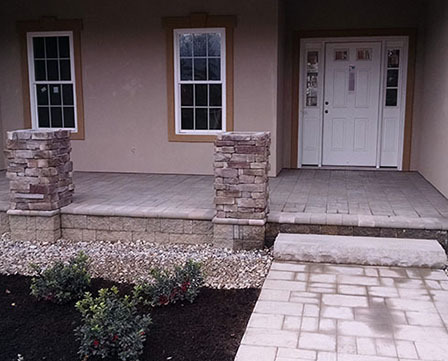 Take your property to the next level with our beautiful stonescaping designs. From custom walkways and retaining walls to gorgeous outdoor patios, you can count on Perfection Excavation, for a stonescaping design that will make your backyard impress! Backed by more than 25 years of experience, we will work with any stonescape design you desire, including natural and fabricated stones. We proudly serve Saratoga, Clifton Park, Glens Falls, and surrounding areas. Contact us today to build your dream landscape! When it comes to stonescaping design, the difference is in the details! We pay precise attention to details, giving you a unique stonescaping design within your budget. Simply let us know the size, color, and timeframe, and we’ll bring your incredible stonescape to life. 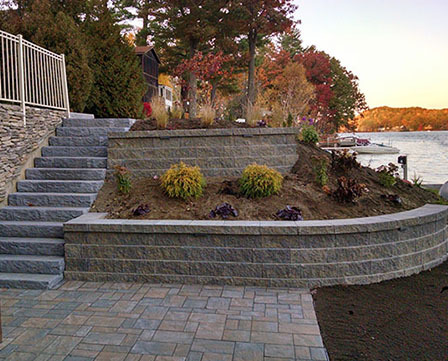 We’re your #1 landscaping design company serving the Clifton Park, Glens Falls, and Saratoga areas. Check out our amazing Gallery and read through our testimonials! Stone provides elegance and beauty for a timeless look. It is the building block of all solid foundations. We hand pick every stone for your site and create custom masterpieces you will love! Set up a free consultation with our our team to learn more about the variety of stone options available. Let us build the landscaping and stonescaping designs you’ve been looking for! Rough but refined, nothing adds unique and elegant qualities like stone! Stone walls can be used to build retaining walls and borders that create more space, elevate areas, edge beds and lawns, and separate elevations. The many style selections are truly as unique as our client’s desires. The timeless look of stone will accentuate any landscape, from formal to rustic! Contact us today for your beautiful outdoor stone landscape design in Saratoga and the surrounding areas. Nothing transforms a sidewalk or slab into an inviting walkway or patio better than hand selected stone. Whether you choose stepping stones, flagstones, cut stones, or bricks, our experienced installers will design the walkway or patio of your dreams! Let us convert your ordinary outdoor situation into an extraordinary – one stone at a time! With our superior stone, hand drawn prints, and trained installers, your patio and walk will truly be the jewel of your landscape. Tired of sagging wood stairs, uneven surfaces, or lackluster colors? We can turn your drab outdoor steps or stairways into the attractive focal point of your lawn or yard. 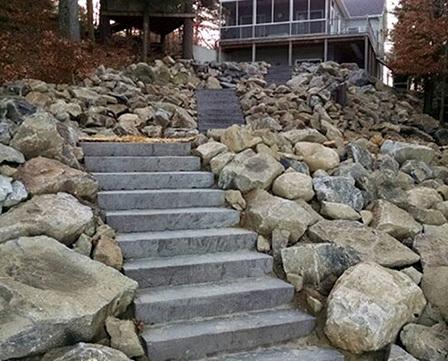 With hand selected stones, we’ll create stairs with endless beauty, stability, and functionality. Stone has been used for thousands of years and continues to be used today, as its beauty is timeless and its functionality is everlasting. 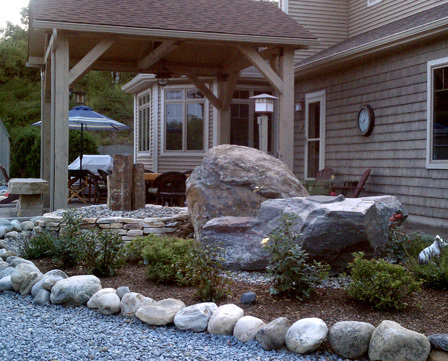 At Pure Perfection Landscaping & Services, we partner with some of the best local stone suppliers in the business and will help you choose from our large variety of boulders and specialty stones to create a supreme outdoor stone landscape design in Glens Falls, Saratoga, Clifton Park, and more! Schedule your free consultation with us today!